According to this note from Chip Weber, Flathead National Forest Supervisor, the next step in the forest plan revision is going to take just a little longer. They are still on track to wind the whole thing up in early 2018, though . . . I would like to update you on the status of the final environmental impact statement for the revised forest plan and the draft records of decision. 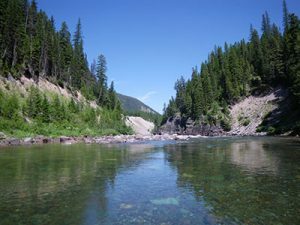 In addition to addressing the effects of the Flathead National Forest revised forest plan, the final environmental impact statement includes discussion of the environmental consequences of the forest plan amendments to incorporate habitat-related management direction for the Northern Continental Divide Ecosystem grizzly bear population on the Helena-Lewis and Clark, Kootenai, and Lolo National Forests. We had planned to have the documents out for the pre-decisional administrative review process; commonly referred to as the objection process in October however we now plan to release the documents in November pending the completion of some of the documents. The schedule on our webpage has been updated to reflect this change. I appreciate your patience and continued interest in the revised forest plan for the Flathead National Forest as well as the forest plan amendments for the Helena-Lewis and Clark, Kootenai, and Lolo National Forests. I greatly appreciate the commitment of the interested participants who have provided important contributions toward the development of the revised forest plan and amendments. For further information about the project, contact project leader Joe Krueger at 406-758-5243. Thank you for your continued interest in the management of your public lands.